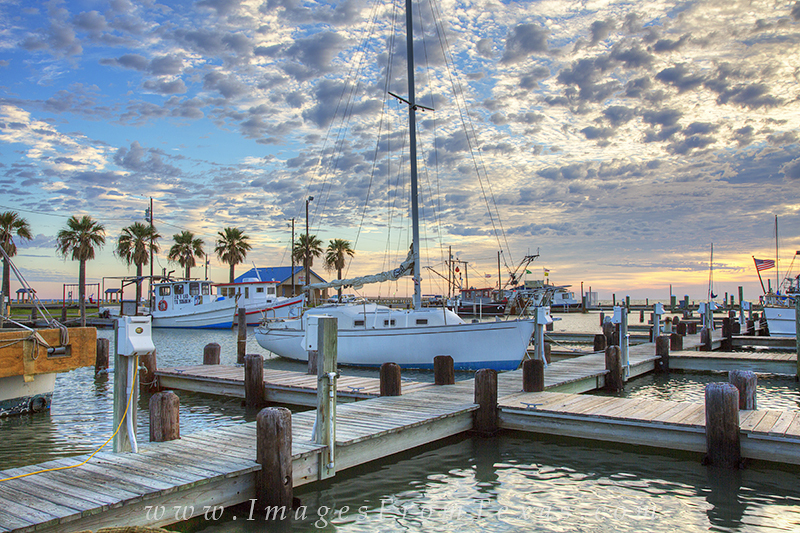 Wonderful clouds drifted over the harbor at Rockport, Texas, in a cool fall morning. I arrived early and had the walkways to myself. Eventually, the shrimp boats began returning from their nightly hunts. This image also appeared in the March 2015 issue of Popular Photography magazine. Photo © copyright by Rob Greebon.